Faith Hill once said "Country music is the people's music." If that's true about country music, then James Wesley is the people's artist with a nod to three chords and the truth, tradition and deeply planted roots. Country music is the people's music. On August 25. 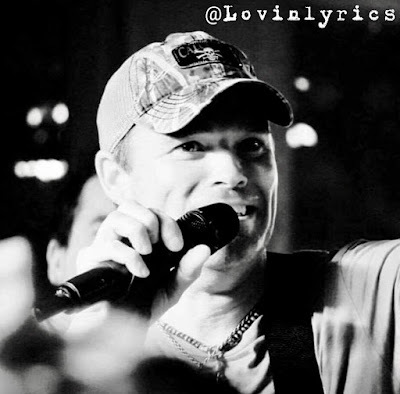 2018, our contributor, Charlie Woods, had the opportunity of seeing James Wesley perform at The Ridge in Leroy, NY as the opener for Travis Tritt. The Ridge is a campground that runs from May- October where they have a full stage for hosting concerts. This show was the most well received concert held at the venue to date. They not only sold out the camping area for The Ridge, but for three other campgrounds within a few miles as well. Time was a little short that day with a full schedule and a few minor interruptions, but Charlie and James managed to catch up with each other via phone a few weeks later. Charlie: Are there any venues that stick out in your mind over your career where you had a moment when you were finished that it was sort of a “chalk that on the wall” experience and I got to do this? James: When I was on the Speaking Out Tour with Taylor Swift when she was Country at the time. We were playing the stadium in Foxborough where there were 50,000 people. I got to do a few shows over the years in Texas with Randy Travis. This was before he had all of his health problems. Looking back how lucky I was to be a part of that. The show here in Leroy where I got to play with Travis Tritt was just awesome. I used to be on the same label when I first started my career as him for a time, Warner Brothers. We never got to do any shows together though. Charlie: The show I got to see you at with Travis Tritt, did you have a chance to catch up with each other at all? James: We didn’t personally that day very much since there was so much going on. We had a blowout on our motorhome on the way so we got there late. I wish we had more time to catch up. Our bands did get to catch up after the show though. We both had a lot of compliments for each other. It looks like this may have jump started a few things though. Look for an announcement down the road that is more formal. We are really hoping to do some shows together down the road like a little mini tour. This is what I like about Travis, we are both very big on Traditional Country Music. We love the older stuff and try to stick to the roots of the music. We also are known for some up-tempo, and rocking songs. We have a lot of the same ideals I think. Charlie: What does country music mean to you? James: It is a way of life and who I am. I’ve always been in the country in a small town and never in a big city. Charlie: I know you’re from a small town in Mound Valley, Kansas. What do you love most about being from a small town and how has it shaped your music? James: It has kept me simple and grounded. Respect for the working class of people since it is harder to survive there with things like farming. You learn a lot about different trades since you have to figure things out on your own sometimes and make it work. I was fortunate to grow up with a lot of good people. Places where a handshake really does mean something. Charlie: I know you are a big Merle Haggard fan. In what way has he influenced your career? James: He was the Country Music package he could sing, write, and play. His songs stood the test of time and are still prevalent today. There are so many layers to his music and every single time you listen to a Merle song you can hear it differently. Jimmie Rodgers and Lefty Frizell are a few more I tried to shape my music after but in my own style. It is different than anybody else but I try to be versatile and hit all the highs and lows of music. Charlie: Is there any recorded song in country music history that, if in that time period, you wish you were the recording artist of that song? Charlie: What type of venue do you prefer to play? James: I don’t have a preference as far as size, but the most favorite venues I play are the ones where the crowds are close, where there isn’t a gate that blocks access between the stage and where they are sitting or standing. I want to see their face and reactions, so I love being as close as possible to them. Charlie: If you could do a song with anybody who would it be and why? James: It would be great to do a song with a legend like Merle or The Highwaymen back in the day. Charlie: Elvis would be another one where he just had that charisma and he would walk off the stage to the pure electricity of the crowd. Back in the day, you really had to be able to sing, there was no such thing as auto-tune. Jim Ed Brown as well. Over the years, every chance we got to see each other, he was so gracious to me as well as the family he had. Charlie: Anything you wanted to add? James: In the next six months or so I will have another EP out with 5 songs on it. After that we will have another one that has another 5 songs on it. Look out for new music. I have a new single coming out here pretty soon that was written with Tim James and Wade Kirby called “The You I Want To Know.” There are a few things I love about writing and singing music. You get to put words on a piece of paper and see a response. It is like a florist making a vase of flowers where they get to make the most out of the colors. In the circle of a song, one of the best things is when a song gets to come to life. Be sure to catch James in your area and connect with him on social media via Facebook, Twitter, and Instagram.